There is always confusion about the ceramic and porcelain tile. Both of them are made of clay, sand, and water. They are then treated at a temperature of 1400 and 1500 degrees. Porcelain has denser clay and both are used for different purposes. Porcelain resists damages but ceramic tends to crack or chip in high traffic. It is the best for high traffic areas. Ceramic tends to crack when more traffic is allowed. Porcelain is not much porous than ceramic which makes it best for bathroom and kitchen. Many prints are made on the surface of porcelain tiles. If the clay is thick then the tile is denser. Tiles can be cut perfectly to make tiles look exactly next to each other. They are not expensive as much as porcelain tiles. Ceramic tiles can be cut easier, than porcelain tiles. It`s weight is lesser to make the transport charges lesser. It suits for more traffic areas. It is not good for cold weather. The surface of this tile is cold. Porcelain is more superior than the ceramic tiles. This has a long life and thus many people prefer porcelain over ceramic. It is used for backsplashes n the kitchen and bathroom. Well in this new year get ready to amuse the guests with ingenuity as well as inventiveness of interlocking pattern of tiles. Such type of tiles are used not only to decorate a private property but also it has been extensively used for commercial purposes. So it can be said that depending upon the location such type of tiles makes powerful style inspirations as well as statement across the population. According to some studies, the interlocking pattern of tiles has created an immense range of the most striking style statement. Most of the time we decorate the main portions of our house as well as exteriors in darkish colors such as in gray, brown, etc for few reasons, whereas the interiors as soft and light cream. Not anymore. Let’s spread some colors which are not too bright but enough to brighten up the mood. And for such interlocking pattern of tiles are the must. The meshed arrangements provide greater strength. Choose from a wide variety of colors such as from basalt blue bamboo to gold meshed interlocking pattern, from rustic gold color to lighter shades. So this new year mesmerize your guests with a drastic change in your property which will be stunning as ever. Travertine tiles are made from natural stone. They are basically made of limestone. The people installing the stones feel it very easy to cut it according to shape. There are many colors and veins patterns available in the market. The professional workers decorate the flooring with these stones and add some golden color metal to give a grand look. They are used for backsplashes in kitchen and bathroom. They can be used for countertops as it is heat resistant by nature. It is better to seal the tiny holes so that any chemical cannot enter into the stone. The sealants have to be used at regular intervals to maintain the stone for a lifetime. Swimming pool or spa looks changes when travertine tiles are used. Whether it is light or dark color these stone give the best looks. The look of the room changes when these tiles are installed. Professionals are hired for installing these tiles. Cutting these stones is an art as this is a natural stone. People liking eco-friendly materials surely will like this travertine tiles. There is a wide range of colors and patterns available in the market. There are many websites displaying the tile. It is better to buy more quantity of tiles to compensate the wastage while installing. If you want to know the technique of making the house royal, then Medallion floors, walls, and ceiling decoration can be a vital weapon. Various types of details and designs can ensure a smooth and shiny look on the part of the house. Actually, the beautiful paints on the wall or floor were very common in the royal period. Most of the places have several designs in their interior. The decoration ideas came from that inspiration. Now, the decorative wall idea has contemporary touch so that it became more dynamic and applicable. Along with the basic profits, this decorative design has more to serve the users. This is a phenomenon with the entire appearance. The texture is glossy so that it attracts much. The charming design brings a vintage look as well. Users can apply the decorative design on the floor, wall and ceiling. People can hang several Medallion details in various places of the house. The raw material of the unit has top class so that the beauty lives for decades. As people can see the royal palaces and its designs, therefore, they can trust on this option. Generally, common people don’t think to apply the design so that any creative decoration can get extra remarks from the visitors. If you are looking for the best alternative to traditional tiles, then various models of glass subway tiles can help you. Glass subway provides most dynamic palate, which maintains the traditional type. Metallic glass tiles, silver color tiles, and mirrored tiles have different colors and textures that help the interior to increase its beauty and class. The perfect alternative to traditional white tiles is in the row. Owners would find several models to save the budget and maintain an amazing style. 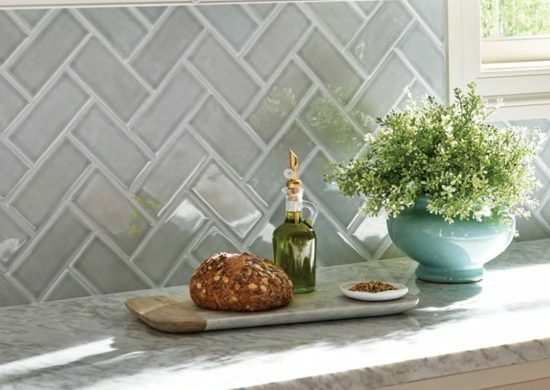 Alaska white – these glass subway tiles are quite a bit beautiful and sophisticated. The color and the texture of this decorative tile may fit in inside walls and backsplashes. You can get 4×16 mm sizes of the bricks for several applications. Plain surface and pure white color can give a simple style in the interior. Monte Bianco glass – 4 X 16 mm bricks have linen surface and pure white color, which has a different style. The designers apply these bricks on the wall decoration as well kitchen and bathroom backsplashes. It is another precious decorative tile of modern day. Metallic mirrored – sometimes designers use the metallic bricks for the alternatives of white tiles. These glass subway tiles are very glossy and reflect-able. It can be used as basin backsplashes. Some metallic basins and stainless steel accessories have a perfect match with the pattern.